According to KFC, only two people in the world know the exact blend of 11 herbs and spices which go into Colonel Sanders famous recipe. The original formula is locked away in a safe and only one person in the world knows the exact code. KFC uses two separate companies to make their chicken, one company making one part of the formula and another making the other. 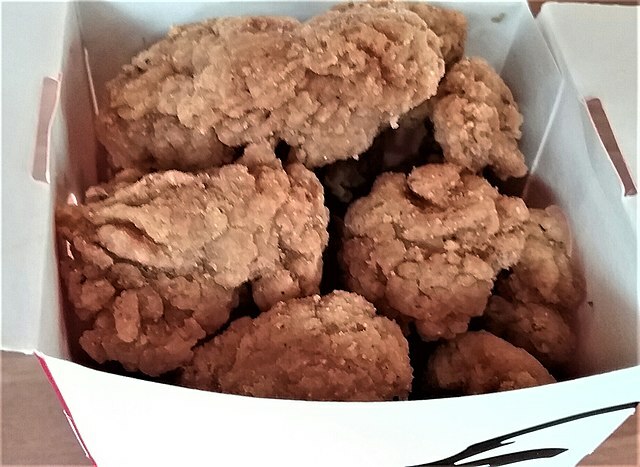 The two parts are then blended together by a computer based mixer ensuring that the biggest secret of Kentucky Fried Chicken is kept safe forever. With this sort of security surrounding the formula it is likely that the original secret will never be revealed. However over the years many people have tried to reverse engineer the secret to the most famous fried chicken in the world. Whilst this might not be the original formula, everyone who has ever tasted it says that it comes pretty damn close. To use the mixture coat your chicken pieces in beaten egg and then coat liberally with spices. Allow to rest for a few minutes and then fry until the chicken is cooked through. Enjoy!